Fundamentals of Computing: Fundamentals of Computing - Lesson 4 - What Is the BIOS? A basic input output system controls all the activities on your motherboard. We say it controls your computer, because it provides the basic interface that equals how your system works with how any other computer works. Whether you buy a Toshiba, Acer, Asus or any other computer manufacturers' computers, all are handled the same way - when seen from a programmer's perspective, or as seen by your operating system. As you may remember from lesson 1, I mentioned that a driver was inserted to the system memory (RAM) when you defined your cd-rom using MSCDEX.EXE. In a similar way you have drivers that are defining for Windows what type of mouse (or trackball) you have, what graphics card you have, what sound card etc. Drivers are similarly an attempt to unify specific units into a single way of looking at units. Microsoft defined some clear standards for their operating system, which was in fact one of the few good things they did back in the old days. Let me explain, just so you get the history on this. Similarly, the clipboard that you use to copy data, images etc from one program to another was controlled by ONE single way of copying. When you inserted part of a spreadsheet into your Powerpoint presentation, it did TWO things: it inserted a copy, but also created a LINK to your original material. Therefore, some programs may offer to UPDATE your presentation or other document when you have made changes to your ORIGINAL document. Now that explains a bit about the genius of the Microsoft operating system. For many years, users were battling the one thing that ruined their user experiences. It got a name: BSD - Blue Screen of Death. When your operating system crashed, you got a BSD, and the only thing you could do was restart your system! For many users the unfortunate thing was that some of the issues were also related to the fact that some computers were in stock at manufacturers for months. When they were produced they had the most recent version of BIOS on them. But as time passed, errors were found, and motherboard manufacturers released updates to their BIOS. But these were only mounted on new motherboards leaving the company. What could you do? Well, you could flash your BIOS, which means updating it. 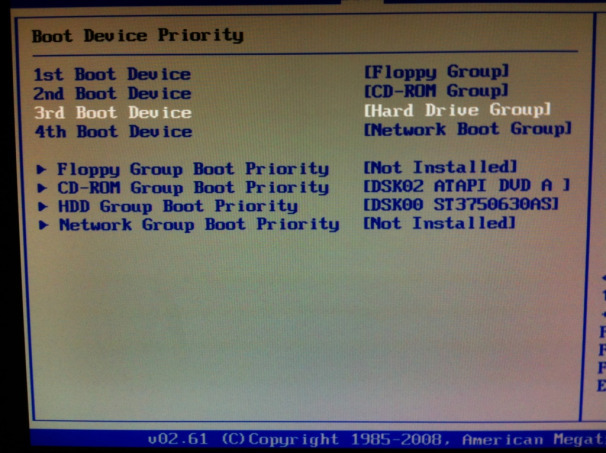 You simply downloaded a new BIOS, and ran a program to upgrade your BIOS. These were created using two-three main trends, AMI being one of them - American Megatrends Inc. It is claimed by some that you don't need to upgrade - or flash - your BIOS. I won't argue over this, but simply state I do so every time I buy a new computer. I buy laptops, and I want the latest in BIOS capability, and don't want my system to be suffering from whatever bug may have been found since my system left the Acer manufacturing plant. Whether you will do the same is your choice. We won't spend time discussing it. Now, to finalize the issue of backwards compatibility in Windows, you will probably have noticed that some programs simply won't run any more under Windows 10. That is simply because Microsoft made yet another wise decision: it would terminate the backwards compatibility issue by recreating the entire code running as your Windows operating system. That is the single best decision ever! For you and me as users, this is a definite decision to begin using the very latest in communicating with hardware. Let's take a look at graphics. In the age of DOS, and first versions of Windows, you had games that took advantage of gamer graphics cards. You had a cable on the back of your 'original' graphics card going directly into your graphics enhancement card, and then a cable going up to your screen. You could hear a click when the enhancement went into active mode. In a similar way, recoding the entire system has now taken FULL advantage of all standards connected with image handling etc, and that is useful because drivers are now even more useful interfaces now that you know you only need to 'support' one operating system. To say it more clearly: you can create better drivers now that you only need to think: Windows 7, Windows 8 or Windows 10 - previously you could create three drivers, but your newest driver still needed backwards compatibility due to the operating system itself. Even though BIOS constantly controls the bus, and how units interact, the most noticeable part of the BIOS is in the startup of your computer. 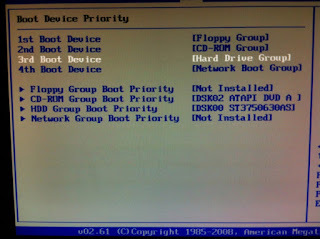 When you boot your computer, you want your harddrive to be the first boot device. The only exception is if you want to install a new operating system from cd-rom. You would then enter your BIOS, and define your CD-ROM drive as primary boot device, and the harddrive as secondary until your operating system is installed. It is only a matter of seconds, but if you have a habit of having a cd-rom in your drive, you don't want your system to look for a boot-up procedure, when all you need is for your computer to boot from the harddrive. In the next lesson we will look at the speed of your CPU, and the role harddrives play in your user experience.